(Lanka e News – 16.June.2018, 11.45PM) The validity of the existing restraining order of the court prohibiting the arrest of former defense secretary Gotabaya Rajapakse who misappropriated a sum of Rs. 90 million to build a memorial museum in memory of his dead parents during the nefarious decade was further extended by the appeal court on the 14 th. After the petition filed by Gotabaya praying for an order to preclude his arrest in connection with the above charges was examined on the 14 th by the panel of judges , Preethi Padman Surasena (president) and Arjuna Obeysekera of the appeal court , the aforementioned order was delivered by the court . When the petition was called up for hearing on the 14 th , the petitioner and the Attorney General agreed on several matters, and those were documented before the court. 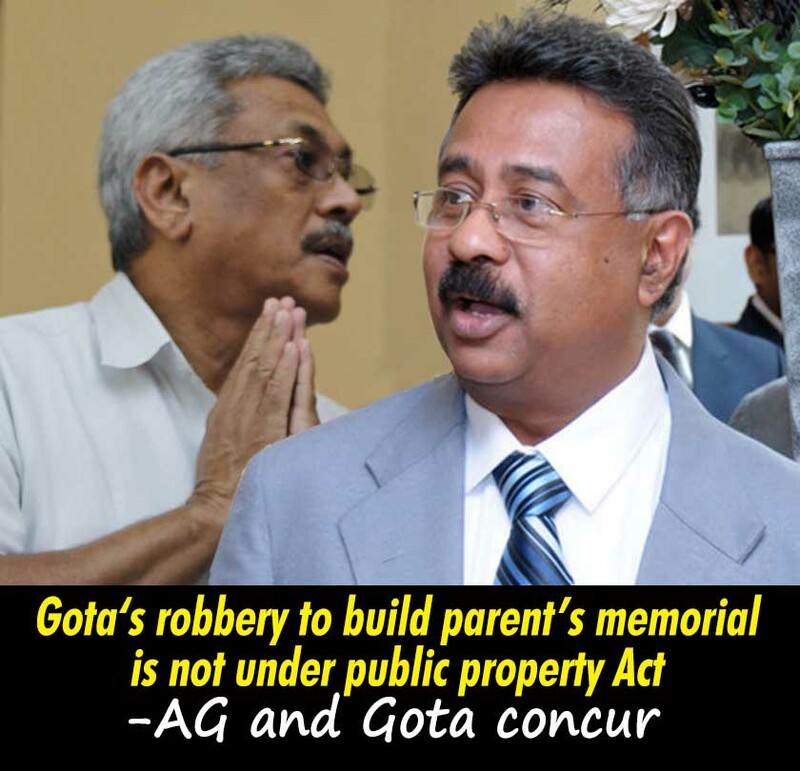 In accordance with those agreements the A.G.’s side informed court that no more B reports under the public property Act will be produced in the magistrate court in relation to Gotabaya the petitioner . The appeal court after considering the submissions made ordered that the petitioner shall appear in the appeal court after notice is served on him by the magistrate court. The appeal court while deciding to postpone the case until the 25 th also directed that Gotabaya shall appear before the FCID on the 25 th and record a statement . It is doubtless having an AG’s department that gifts winning lottery tickets to the accused is going to be the greatest encouragement to all criminals across the Island to commit crimes freely and with impunity. In addition , foreign criminals too are going to queue up to obtain Sri Lankan citizenship.